1. Frogmore was first constructed in 1680 after Charles II employed architect Hugh May to design a house for tenant’s Thomas May (the latter’s nephew) and Anne Aldworth. It was finished four years later (1684). 2. It once became the covert residence of Barbara Palmer, 1st Duchess of Cleveland, the mistress of King Charles II, and their illegitimate child George FitzRoy, 1st Duke of Northumberland. 3. The house had been leased to crown tenants for hundreds of years until King George III bought the abode as a gift for his wife Queen Charlotte in 1792. It has been considered as Crown property since. 4. Frogmore used to be a retreat place for all of Queen Charlotte’s unmarried daughters. The ladies would enjoy doing recreational activities like needlework, painting, japanning, drawing, as well as “botanizing” as their mother had a penchant for plants and flowers. 5. Situated on the west side of the gardens is the Italian inspired mausoleum of Queen Victoria and Prince Albert. The former personally chose the site just four days after the demise of her husband in December of 1861. A.J. Humbert and Professor Ludwig Gruner were appointed as architect and designer, respectively. 6. On the west of the house rests the burial chamber of Queen Victoria’s mother, The Duchess of Kent, who, two years before her death, asked Prince Albert to have a mausoleum created for her. 7. Just south of Queen Victoria and Prince Albert’s mausoleum is the Royal Burial Ground, which has served as the final resting place for the deceased members of the Royal Family since its consecration in 1928. 8. Inside you will find Queen Mary’s flower room, which mirrors her decorative style and taste, as well as the reputed Black Museum where you can find her black papier-mache furniture collection. 9. In order to supplement war rations during World War I, the Royals themselves went farming and planted potatoes on the grounds of Frogmore. 10. The Duke and Duchess of Sussex had their engagement photos shot by Alexi Lubomirski in Frogmore! 11. Frogmore is currently considered an unoccupied residence, though the lavish place is continuously being used as an events venue. 12. George VI and Queen Elizabeth the Queen Mother spent their honeymoon in the Frogmore House. 13. The Duke and Duchess of Sussex initially chose Frogmore House as the venue of their wedding, however their advisers told them to pick a more practical location. 14. The house got its name from the abundance of frogs that inhabit its marshy grounds. Queen Victoria even said once, “The frogs were quite dreadful, making the grass look as if it were alive." 15. William Shakespeare did a mention of the infamous house in one of his works, The Merry Wives of Windsor. One of the scenes is set in “a field near Frogmore”. 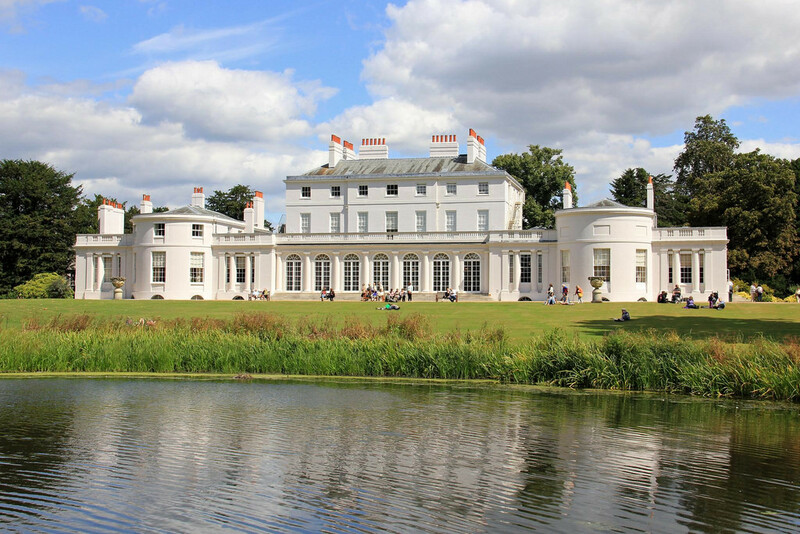 For more information about Frogmore House, visit the Royal Family’s website.